With 120 stores in France, Cash Converters is an expert in buying and selling second-hand products to private individuals. 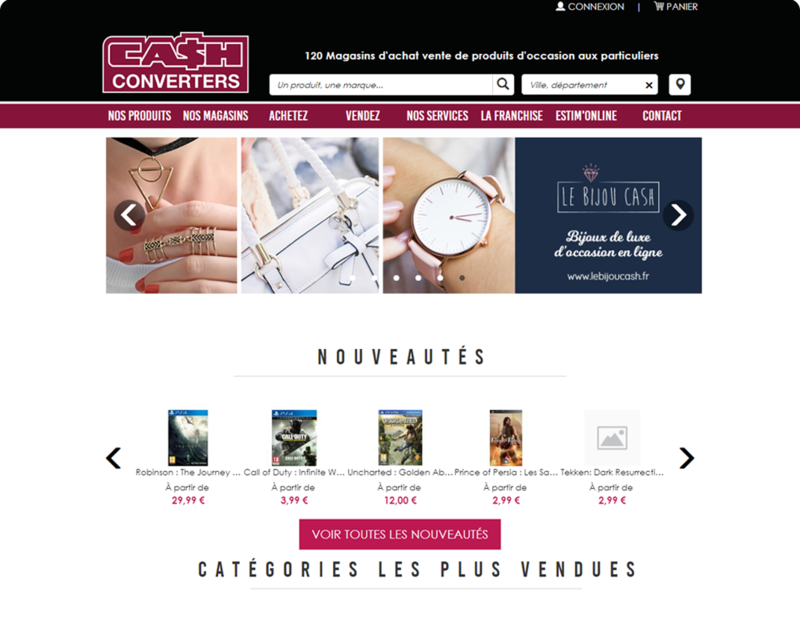 Since the launch of its marketplace, inventories for all Cash Converters in France store are available on line. From major retailer Schiever, the brand Hôli-Déco proposes the largest range of products dedicated to decoration : from furniture and wall coverings, right through to lighting and paint. Created by the Crédit Mutuel Massif Central, Fan & Companie showcases producers and merchants from the Auvergne and Aveyron regions. The platform allows products to be sold anywhere in France. Viinup is a Swiss marketplace dedicated to the purchase of wine and champagne between producers and professionals from the hotel and catering industry.